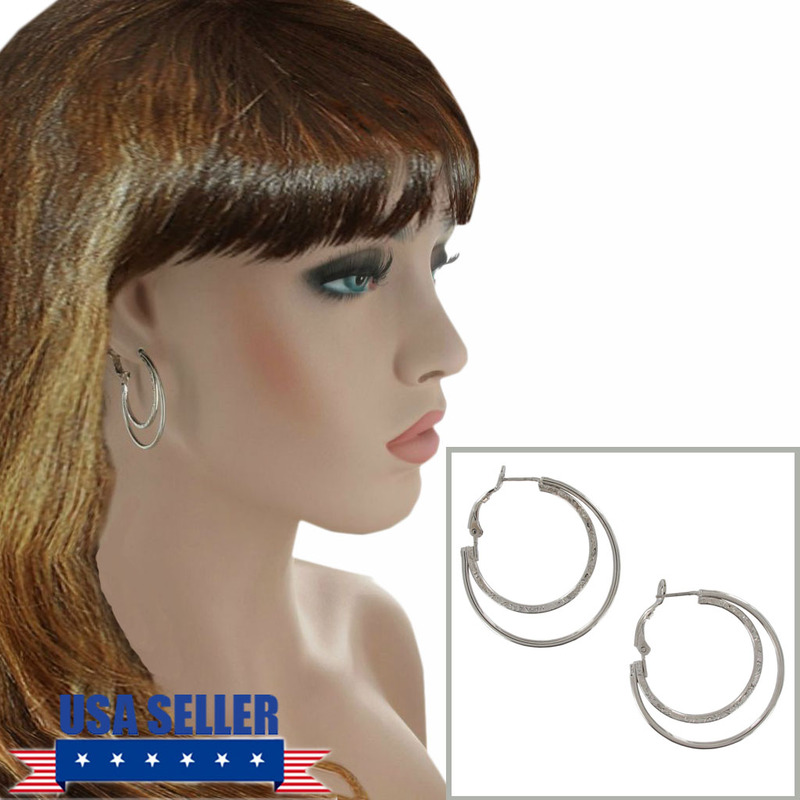 These double hoop pierced earrings have surgical steel posts for sensitive ears. Inner hoop is made of square wire with etched detail. Outer hoop is plain wire.